There were few variety stars in the second half of the past century who didn’t at some point – and many with decades-long regularity – cross the path of agent and renowned booker Michael Black, a popular, effervescent figure considerably more colourful than his surname. As booker with Bertie Green for London’s leading cabaret room, the Astor Club, in the 1950s and 1960s, and as chief booker for the UK’s American military bases during the period, Black built up an arguably unmatched portfolio of British and American stars. Later, having virtually cornered the market for high-profile bookings at many of London’s leading hotels, he acquired the nickname “the king of Park Lane”. He serviced everything from clubs to summer seasons to West End shows with an endless supply of artists and a knack for placing them in the most conducive venue. Elder brother of the lyricist Don Black, he was one of five children born to Russian parents in Hackney, London, and began his career as a comedy impressionist, winning the Carroll Levis Discovery Show on radio. He worked his way up the bill to become a regular compere at clubs and theatres in London and Scotland. 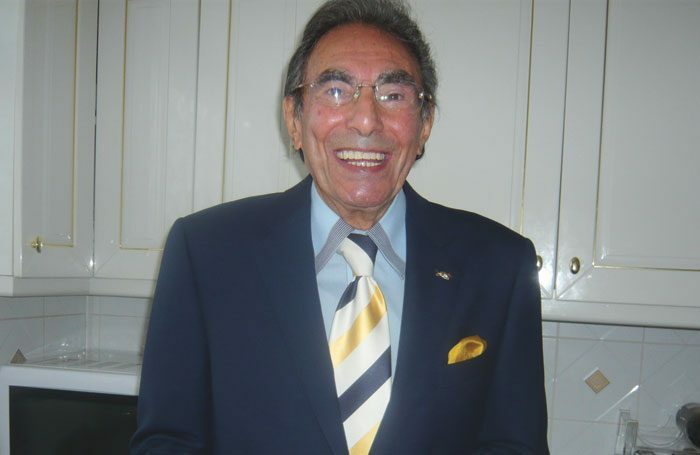 In the mid-1950s, he moved into management, forging an 11-year association with the Arthur Lowe Agency – where he strengthened his US connections, bringing stars such as Mel Torme and Buddy Greco to the UK – before leaving to set up his eponymous organisation in 1964. In 1966, he was appointed booker of the newly opened Cesar’s Palace “on the A505 between Luton and Dunstable” (as The Stage helpfully noted), where his ability to place names such as Bob Monkhouse, Matt Monro and Brook Benton challenged the then-dominant Northern club circuit and led to a sister club opening in Leicester the following year. Among the many leading lights on his books were Bruce Forsyth, Shirley Bassey, Dave Allen, Des O’Connor, Jimmy Tarbuck, Tom Jones, Roy Hudd and Joe Longthorne. Black worked into his 70s with vigour and humour. A longstanding member of the Grand Order of Water Rats performers’ charity, he was appointed Test Rat in 1999. Michael Black was born on August 20, 1925, and died on October 1, aged 93. He is survived by his wife, the singer Julie Rogers, his brothers Cyril and Don, sisters Nita and Adele and children Emma and Daniel.